LCA Automation AG sets up and manages your engineering projects. This includes a team feasibility study, the development of a first engineering concept, its visualization and all modelling and calculation work related. … check the technical and commercial feasibility of your business concept? … work out the concept of a factory automation process and allocate the cost to it? … compare, evaluate, or expand existing concepts? Our highly competent staff is looking forward to professionally supporting you. Please contact us for a tentative offer. 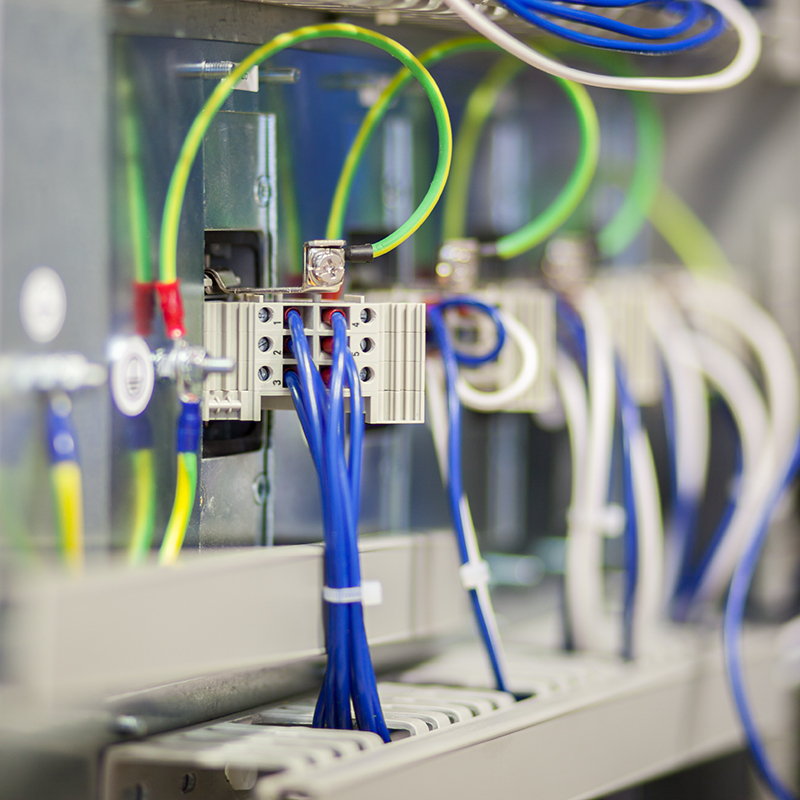 Our longstanding experience within the fields of electrical planning and design as well as PLC systems guarantee a successful implementation of your processes. Our focus lies on competence based process planning, implementation, control and reporting. Data collection and process control statistics are state of the art features of all our assembly lines and machines. Mechanical engineering and design, factory processing and assembly lines, test benches, special purpose machines, and even the highly demanding control of cable cars all fall within the scope of our controls. LCA’s controls are to be found all over the world. Due to our remote access maintenance program we are able to guarantee both global support and versatility of all controls and facilities. Example food processing: this processing line allows a highly productive and precise chopping of herbal bulk, which was harvested and dried prior to shipping. The machine meets all criteria needed for food processing: corrosion resistance, simple maintenance, operator safety, and flawless documentation.